In anticipation of what I hope is the last cold day of the season, I wanted to share my go to winter weekend look. While I did purchase another pair of snow boots, I will always fall back on my reliable, and comfortable, Ugg booties - I think I wore them at least once a week this winter. I can also pat myself on the back for my 2013 bag purchase. I'm in love with my Rockie handbag. I often have to stop myself from wearing it in order to spread the love to the rest of my bag collection. As much as I'm attached to my Ugg boots, I won't be sad to say goodbye to wearing them for awhile. this outfit inspo is everything! 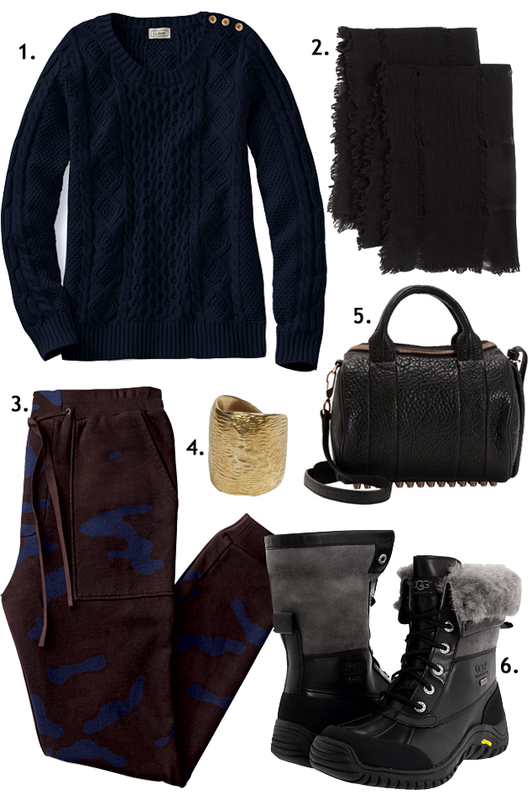 I want the scarf, sweater, ring, and obvs that Wang bag!